After four years of its launch, Nokia's Ovi brand has been dismantled. The company announced today that the name Ovi will be removed and the services will be rebranded as Nokia Services. 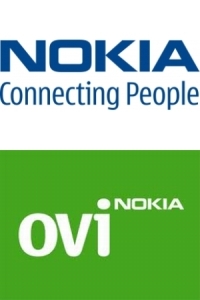 The Ovi (which means door in Finnish) services were launched in August 2007 and at the time was promoted as a gateway to Nokia's Internet services. It was supposed to act as a door to web communities, which enabled people to access contacts, content and communities from a single place like a PC or a compatible Nokia device. Ovi services included e-mail, maps for navigation, a music store, backup of contacts and a store for shopping for games, applications and ringtones. Beginning July, the process of switching from Ovi to Nokia will occur and is expected to complete by 2012. The new services launched by Nokia will only contain the Nokia brand and not Ovi. On the official Nokia blog, Nokia's EVP and Chief Marketing Officer, Jerri DeVard said, "We have made the decision to change our service branding from Ovi to Nokia. By centralizing our services identity under one brand, not two, we will reinforce the powerful master brand of Nokia and unify our brand architecture while continuing to deliver compelling opportunities and experiences for partners and consumers alike." However, according to ad agency WPP's subsidiary Millward Brown, the value of Nokia brand had fallen by 28 percent last year to $10.7 billion. This comes even as the company declared its proprietary OS a 'burning platform' and signed up with Microsoft to use the latter's Windows OS on its new handsets. On why the company decided to change the brand, Devard said, "Our mobile experiences are tightly integrated with our devices "there is no longer a differentiation. For example, if consumers want the best mobile navigation experience, they know it's a Nokia that they can rely on. These last few years, and moving forward, our mission remains unchanged: we will continue our work to deliver compelling, unified mobile service offerings and next-generation, disruptive technologies." Nokia now plans to ramp up on services, especially in location-based services space, after trimming down many services offered by Ovi in the past year. According to Nokia, everything will remain the same, except the name.